Here’s an idea: a web tool that promotes employee recognition, and allows people to redeem rewards with their recognition currency. 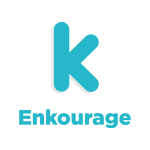 Get all of that and more from a single source with Enkourage! A tool that enables managers to create incentive campaigns, quizzes and surveys to motivate their teams. A platform that can be accessed at any time from any type of device.